Filming is supposed to begin soon on a movie adaption of Ron Rash's bestselling novel, "Serena," according to multiple reports. 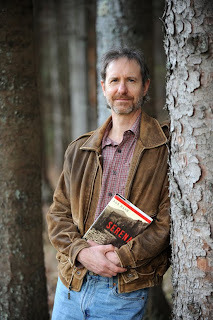 In "Serena," Rash, an award-winning novelist, poet and professor at Cullowhee's Western Carolina University, tells the Depression-era story of Serena Pemberton, whose timber-baron husband runs a logging operation in western North Carolina. In this riveting novel, Serena is cold, calculating, larger than life. Reviewers have compared her to Lady Macbeth. I think Serena makes Lady Macbeth look soft. So who'll play Serena in the movie? Western Carolina University reports that it's Jennifer Lawrence, best known for her stunning portrayal of Ree Dolly in "Winter's Bone." She's also starring in "The Hunger Games," out in March. Playing Serena's husband, George, will be Bradley Cooper of "The Hangover." The movie is scheduled for a 2014 release. The filming location hasn't been announced.